UPDATE: We hosted a webinar at the end of February walking in detail through Jet’s main features. You can watch a video recording of the webinar at the end of this post. In our first blogpost, we introduced the thoughts and plans behind our new Docker-based system, Jet. If you haven’t read it yet, take a look at that post first so you fully understand what we’re trying to achieve with our new infrastructure. 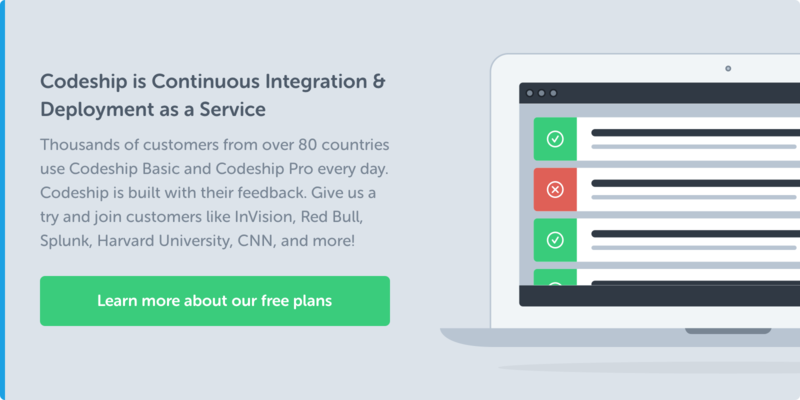 If you want to take our new system for a spin, sign up for a free 14-day-Jet-trial or check out our Getting Started Guide in our Codeship Documentation. Feel free to watch a short 9 minute Codeship demo video here. Check out starting points and resources for Codeship Jet on our webinar page here. Working with Codeship Jet – The Codeship CI Platform for Docker from Codeship on Vimeo.